Phonics and literacy expert Wiley Blevins has stressed using “power words” to introduce a targeted skill such as short u. This printable activity includes a short, playful text with high-utility words that students will encounter often. 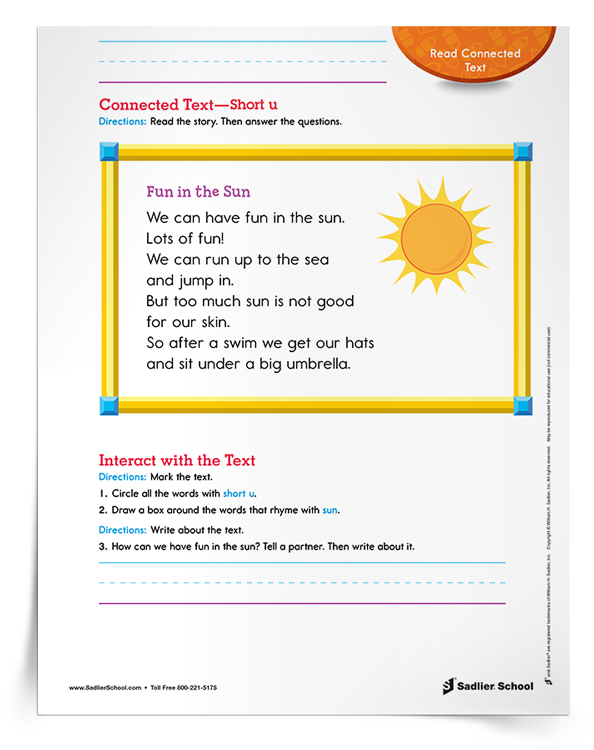 Fill out the form to download the Connected Text—Short u Activity now.